In late July and early August in the Mayo Lemie and Chari Baguirmi regions of southwestern Chad, poachers slaughtered 63 elephants. The government launched a massive land and aerial search with 200 soldiers to track down the perpetrators. After several skirmishes, the team caught five of the horsemen responsible for the killings. Three others fleeing gunfire drowned while attempting to cross the Chari River. 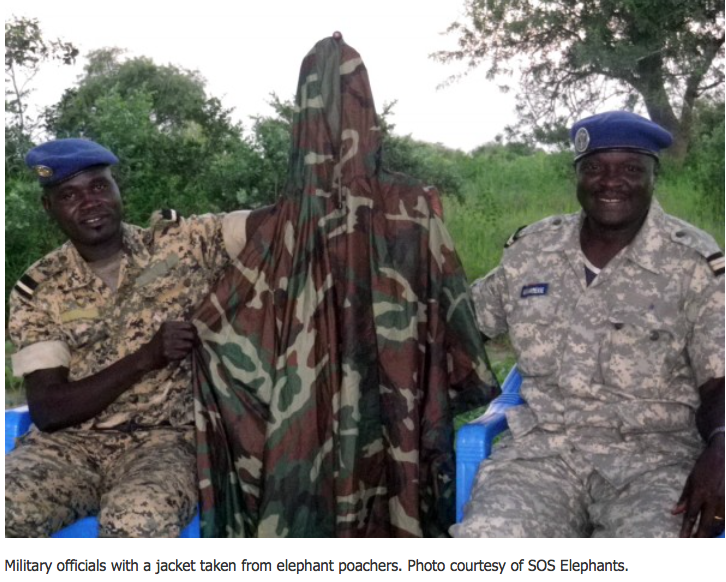 It appears that the poachers came from Sudan because their horses wore blankets found only in that country. Government forces also recovered 65 elephant tusks, three horses, one of which had drowned, a donkey, three assault rifles, and 400 rounds of ammunition. At an August 21 press conference the Secretary-General of Chad’s Ministry of Environment and Fisheries Resources, Mr. Sandjima Dounia, named the five suspects—Mahamat Ousman Abadai, Markhani Brahim, Mazou Mainou, Adam Mahamat, and Yerima Hadjar—and said they would need to answer for their crimes. He also noted that the government was intensifying its search for additional poachers to prevent a resurgence in elephant killings. 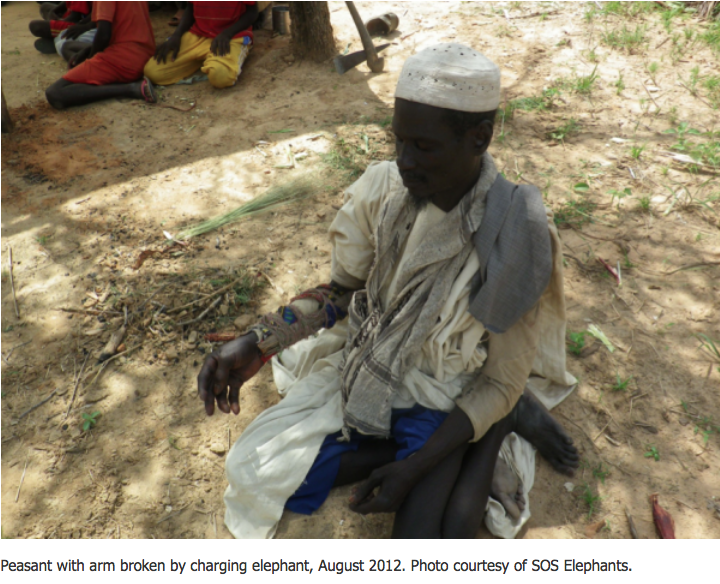 Following the capture of the poachers, Chadian communities have gathered to support the country’s elephants. 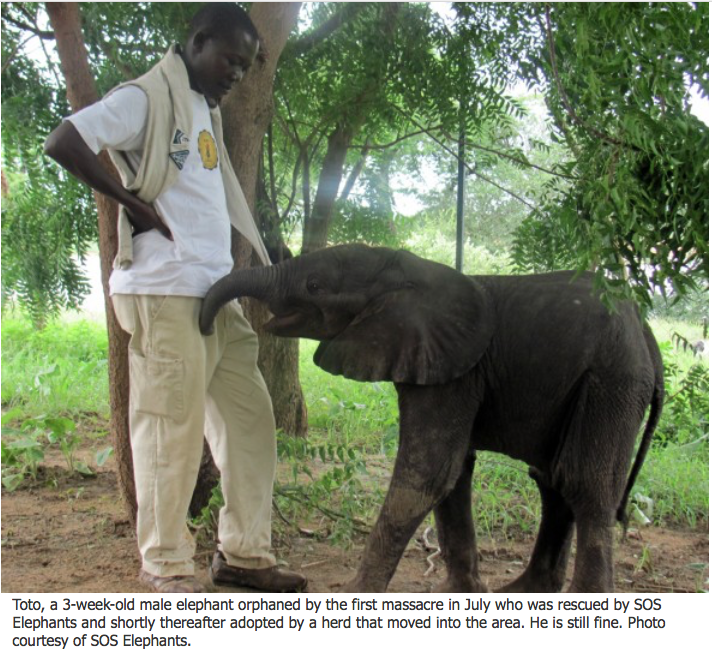 The wildlife organization SOS Elephants, traditional leaders, and administrative authorities together have initiated an education campaign to explain why elephants deserve protection and how creation of a safe corridor could help. Poaching has made the elephants in this region extremely aggressive, so much so that they will charge without provocation. According to Stephanie Vergniault, President of SOS Elephants, this relatively small area is home to about two-thirds of Chad’s remaining 1,500 elephants. Classifying it as protected will make it easier to keep track of the elephants, and an aerial counting is planned for November. In the meantime, local communities and wildlife department officials monitoring the herds report that over the last eight months elephant numbers in Mayo Lemie-Chari Baguirmi have increased dramatically, from 300 to around 1,000, as herds flee poaching in other parts of the country and seek a safe place to live.